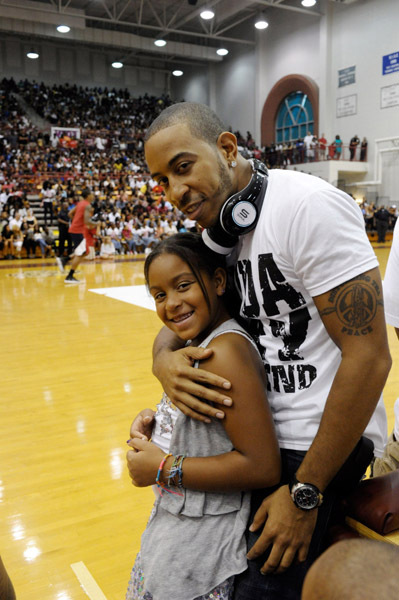 Rapper Ludacris and his 10-year-old daughter Karma have teamed up to launch a new educational website for kids. The site Karmasworld.com is geared towards kids between the ages of 6-11. Luda’s daughter Karma came up with the idea for the site, and her dad put his resources to use to make it happen. The site has games, songs, and resources for parents and teachers. I haven’t gone through the entire site yet but from what I see it is really dope. It’s always good to see fathers encouraging their kids to be productive and innovative. Luda is not only doing something to encourage his daughter’s dreams, he is also giving other parents the opportunity to get involved with their children’s education and life skills.